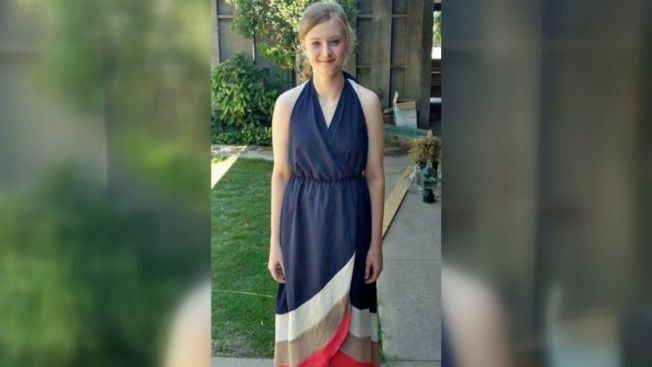 A 14-year-old West Texas teen died early Sunday after being electrocuted while in the bathtub, according to her family. Family members told KCBD-TV in Lubbock that Madison Coe was in the tub when she either grabbed her phone or plugged it into the wall outlet. "There was a burn mark on her hand, the hand that would have grabbed the phone. And that was just very obvious that that’s what had happened," said her grandmother, Donna O'Guinn. Lovington police and EMS were called to the home at 12:24 a.m. on July 9 and attempted life-saving measures on the unresponsive young woman, KCBD reported. She was later pronounced dead at the hospital. While initial evidence showed signs of electrocution, no cause of death has been established, according to Lovington police. Police said Tuesday that Coe died while visiting her father, The Associated Press reported. A cellphone, charging cord and extension cord were found by the bathtub, Detective Sgt. David Miranda said. Coe's family believes the terrible accident is something that could happen to anyone. "This is such a tragedy -- that doesn't need to happen to anyone else. And we want something good to come out of this as awareness of not using your cell phone in the bathroom as it is plugged in and charging," O'Guinn said. KCBD reported Coe was involved both with athletics and the arts, playing on the basketball team while also holding down the number one chair with her tuba in the Terra Vista Middle School band. A memorial service for Coe will be held Saturday, July 15 at 2 p.m. at Kings Ridge Church of Christ in Lubbock. Investigators were awaiting an autopsy report.